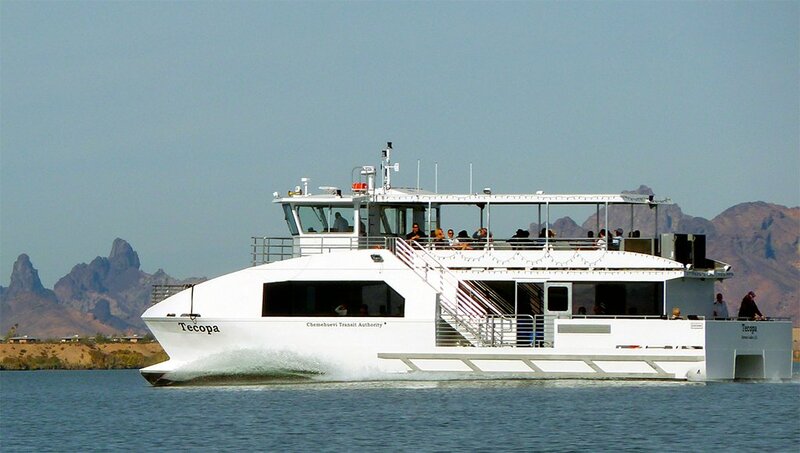 Take a ride across Lake Havasu on the Tecopa! 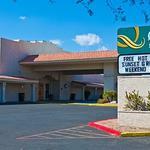 Searching for action-packed casinos in Arizona, but without all the crowds and traffic-choked boulevards of Las Vegas? Lake Havasu City is your safest bet. Each with its own style of gaming and entertainment, there is something truly special about casinos in Arizona. Our area plays host to two casinos and an off-track betting facility that cater to high-stakes and casual gamers alike. Count on the luck of the draw with bingo, hit the jackpot at the slots, or try your hand at blackjack or poker in the casino card rooms--there are plenty of ways to win big! 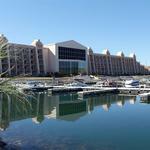 Bluewater Resort and Casino in Parker (just over 37 miles south of Lake Havasu City) is one of the top casinos in Arizona, offering you a wide range of entertainment and gaming options including all varieties of slots and a card room where you can pull up a chair for Blackjack or 3-card Poker. Conveniently located in north-central Lake Havasu City, Gallagher's Dining & Pub is the only gaming and gambling establishment in Lake Havasu City. 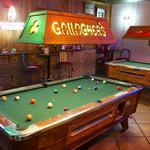 Gallagher's has Texas Hold 'Em Poker (and tournaments) and lottery pools in a relaxed atmosphere. Havasu Landing Casino has several kinds of electronic slots on the main casino floor and a card room for blackjack and three-card poker. To get there, hitch a 17-minute ride on the Tecopa ferry from the London Bridge or take your own watercraft and tie up at the Havasu Landing marina. 271 S. Lake Havasu Ave.
Off-track racing. Play the ponies everyday without leaving the comfort of Lake Havasu City. So do you feel lucky? Then take the Tecopa ferry for a ride across the lake to Havasu Landing Casino, visit Gallagher's right in Lake Havasu City, or drive to BlueWater Resort and Casino for an evening of fun and gaming in the gorgeous Lake Havasu area. 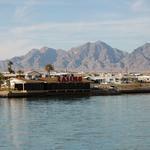 With top-notch gaming and all the outdoor action you can handle, Lake Havasu City is your one-stop source for thrills. The Lake Havasu area offers delicious dining and great entertainment, so no matter how well you do in the casino, you'll still feel like a high roller in our lovely lakeside resorts. Why go anywhere else?